Who should pay for local public affairs journalism? What exactly is local news and, more broadly, local media? How should we regulate it and how much do we value it? Is it important enough, for instance, for us as taxpayers to subsidize local news gathering organizations – or even more radically, should our governments provide local news free of charge, just as public education is offered free to all citizens? 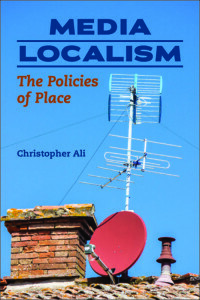 Christopher Ali, an assistant professor at the University of Virginia, tackles these questions in his new book, Media Localism: The Policies of Place (University of Illinois Press, 2017), which addresses the difficulties of defining and regulating local media in the 21st century in the United States, United Kingdom, and Canada. Ali has focused much of his research on the issues confronting local news organizations and the implications these difficulties have for the long-term viability of local news. Economists have long defined public service journalism as a “public good” since everyone in a community and a democracy benefits when citizens are well informed about the issues and choices confronting them. In the article below, Ali argues that our democracy depends on free flow of information at the grassroots level. With local newspapers reeling from economic disruption, he posits that community-based, public service journalism should be considered not just a public good, but a “merit good” subsidized or provided free by government since it benefits our entire society. Click here to find to his book. 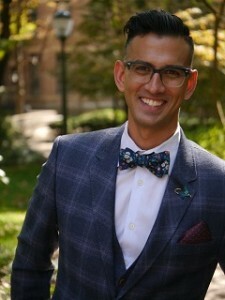 Ali received his PhD from the Annenberg School for Communication at the University of Pennsylvania and has worked for the Federal Communications Commission, consulted with the South Korean Committee on the Impact of Media Concentration, and was part of a consortium of researchers, activists, and practitioners intervening at the Canadian Radio-television and Telecommunications Commission regarding community and local media. He is currently a fellow at the Tow Center for Digital Journalism at Columbia University co-authoring a report on the state of small market newspapers in the United States, Local News in a Digital World: Small Market Newspapers in an Era of Digital Disruption. He is also a fellow at the Center for Advanced Research in Global Communications at the University of Pennsylvania, where he will begin research on a new book, Farm Fresh Spectrum: Rural Interventions in Communication Policy, which examines the role that farming communities play in shaping communication policy. To access his article, The Merits of Merit Goods: Local Journalism and Public Policy in a Time of Austerity, click here. My research draws on three areas of previous research: work on local media policy, work on local news and local journalism, and work on local, place, space, and community. Because it is comparative, I look deeply into the scholarship on Canadian, American, and British local media ecosystems. There’s quite a lot of excellent scholarship on the idea of “localism” in American media policy, and there’s a growing body of research on local journalism, but there is relatively little on Canadian and British local media policy or local journalism. I hope that my work fills some of these gaps, in addition to updating the work of American scholars. Something that I loved doing in my book is delving into philosophical ideas. Indeed, one of the larger questions my entire body of scholarship and research addresses is: “what does it mean to be local in the digital age?” We used to think of being local as being synonymous with being in a place – a town, a city or a village. Today, however, this is not the entire story. What does it mean to be local when we can work in one location, go to school in another, live in a third and chat with a friend 1,000 miles away, all in the same day? What does this mean about our ideas of localness, place, community and space? Moreover, what does this mean for local news? What is local news anymore? I use these questions as a starting block to examine the policies, regulations, and laws governing our media systems. What policymakers think about being local is not at all consistent in either their given countries or when compared across countries. Most often, they do not give this question a lot of thought, which means that we are left with outdated policies that tend to favor the status quo and powerful media organizations, rather than policies and regulations that actually foster and encourage local media. To their credit, policymakers are growing more and more interested in local news and have come to recognize the importance of it to democracy, to our communities, and to our everyday lives. Still, they have been unable to craft an appropriate response. We need to think more holistically about local media, local media policy, and what it means to be local, if new policies are to be enacted. This means opening up the conversation to more stakeholders, and not just the incumbents and the powerful. It means moving away from our taken-for-granted ideas of being local. It means acknowledging that local media is more than just commercial television, and metro newspapers, but also includes public access television, community newspapers, public media, ethnic media, student media, etc… It also means rethinking the way that we fund local media, especially local news. This is where my merit goods argument comes from – finding new ways to justify funding mechanisms like subsidy and public expenditures to create the most robust local news ecosystems possible. What are the implications of your research? What areas are you researching next? Policy has an important role to play in encouraging local media and local news. Often times this gets overlooked or dismissed, especially here in the United States. There have been moments – policy windows – where excellent decisions have been made, and these are moments to learn from and replicate. For instance, there have been some excellent and exhaustive reports on local media – such as the FCC report on the Information Needs of Communities in the U.S., or the Lincoln Report in Canada – that have been almost completely forgotten. We need to have a sustained, holistic, and inclusive conversation about the type of local media ecosystems that we want and hopefully my work – both the book and the merit goods article – will contribute to this conversation by offering a new perspective on local media. Right now I’m working on two major projects, both of which take their cue from Media Localism and from my merit goods article. First, as a Fellow for the Tow Center for Digital Journalism at Columbia University, I have spent the last nine months working with my research partner, Damian Radcliffe of the University of Oregon, on assessing the state of small market newspapers in the country, with a particular focus on their use of digital technologies. This project included in-depth interviews with dozens of experts and practitioners and a survey of small market newsrooms. The results should be published in March. My second major project is more about policy than about journalism. As a Fellow at the Center for Advanced Research in Global Communication at the University of Pennsylvania I will start research on a new book that will look at the relationship between farming communities, communication technologies, and communication policy. It keeps me focused on localism, but allows me to investigate an area that is often neglected by scholars, researchers, and policymakers – rural communication.